What's the weather forecast for Bretton Woods this week? Check out the long-range weather forecast for Bretton Woods, including temperature, predicted snowfall and wind details at the summit and base throughout the day for the next week. Tab over to overview or Hour by Hour for alternative views of the Bretton Woods weather forecast. Get Snow Reports, Powder Alerts & Powder Forecasts from Bretton Woods straight to your inbox! Great day at Bretton Woods!!! Skied 2/21 thru 2/23. 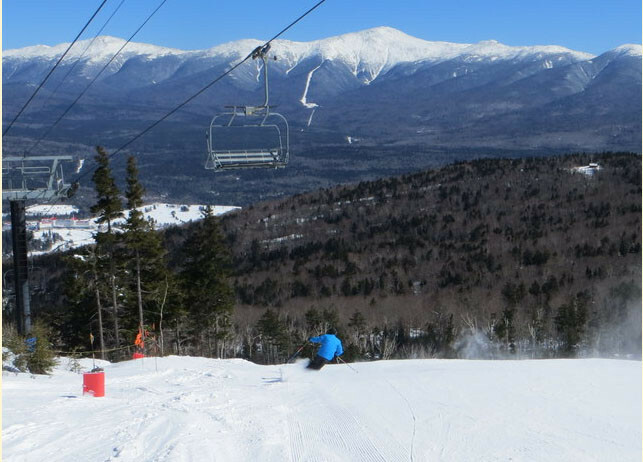 Sunny with great conditions and views of Mount Washington. Excellent first trip to Bretton Woods! February 24, 2019 Windy conditions closed some of the lifts, but could not have had a better weekend! Sat was sunny and clear. Great view of my Washington, just fantastic! Skied last three days and it got better every day. Plenty of powder in the glades and on the trails. Amazing day on the slopes today. Enjoyed every minute. Great snow, small crowds! Fantastic day at Bretton Woods!! Great conditions!!!! Good day on the 25th. Excellent job grooming on the trails. Glades skiable, with care as some spots icy and thin. Excellent day at Bretton Woods. Great conditions, well groomed and a little fresh snow too! great conditions. real snow. wide open no crowds.